President Trump announced Monday morning he is starting the process to cut or reduce aid to Central American countries that haven't stopped a caravan of illegal aliens. Over the past few days, the caravan has grown from 4,000 people to 7,000. 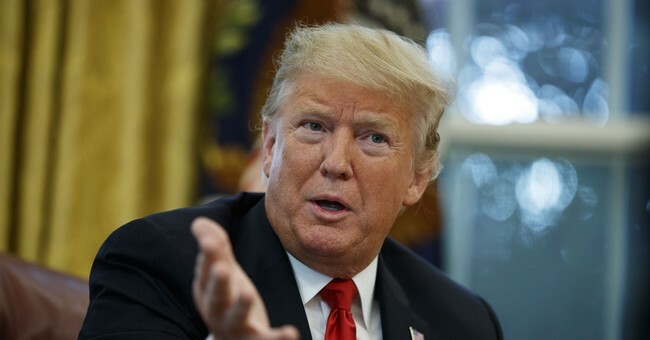 Over the weekend, President Trump again threatened to seal off the border if Central American countries or Mexico couldn't control the flow north. "I would call in the military and I would seal off the border. I would close up the border. If that happens, and if that continues to move forward, the caravan we’re talking about," Trump said. "I think some bad people started that caravan.. you have some very, very bad people in the caravan. But I will seal off the border before they come into this country." In Mexico, authorities have failed to stop the massive caravan. Stretching one mile long, it has broken through borders, police lines and barricades. When the cameras are off, caravan members ditch the walking to grab rides on train and trucks. During an interview with Fox News anchor Bret Baier on Friday, Mexican Ambassador Geronimo Gutierrez again argued Mexican immigration policy does not encourage illegal behavior and should be orderly. President Trump is headed to Texas Monday afternoon and will campaign for Senator Ted Cruz (R-TX) in Houston. There's no doubt the caravan will be a heavy topic during his remarks.